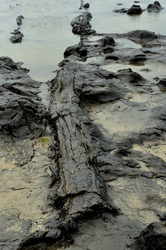 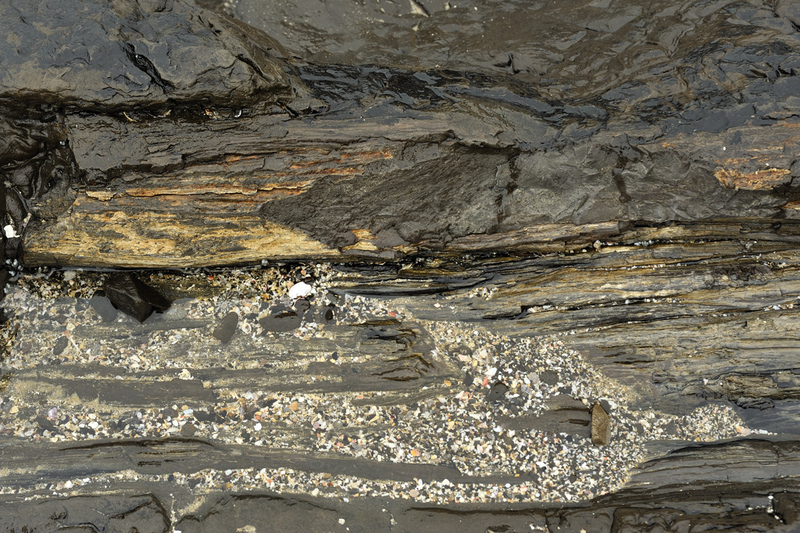 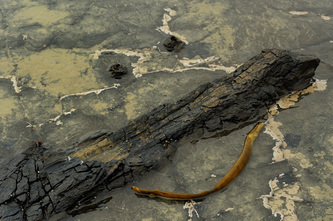 At Curio Bay in the Catlins (eastern Southland), fallen trees and stups of a fossil forest can be seen at low tide on the wave-cut platform. 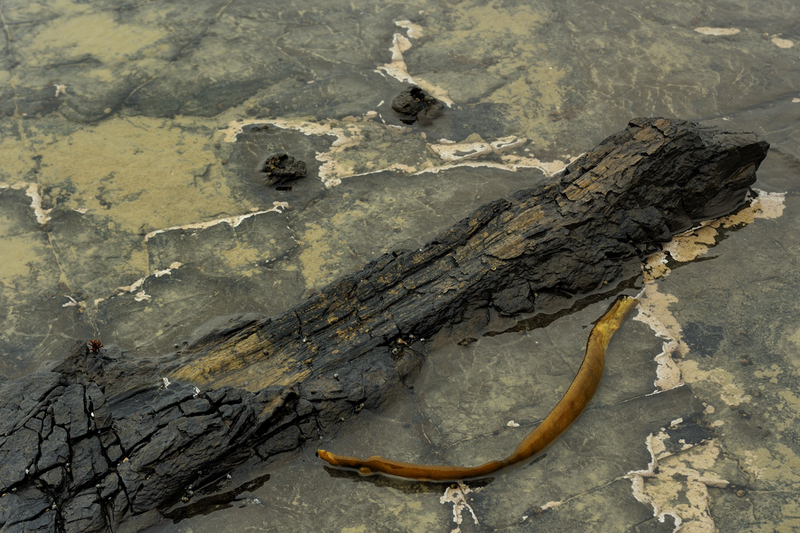 The forest dates from the Mid-Jurassic period, circa 180 Million years ago. 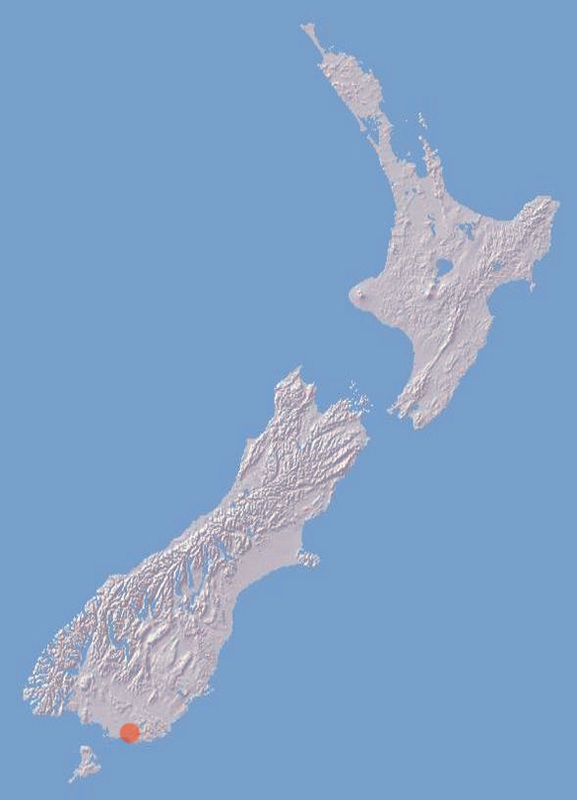 At that time Zealandia was situated on the eastern margin of Gondwana. And although at high latitude, the Curio Bay forest exhibits a diverse flora including canopy trees and a variety of ferns that grew on a broad coastal plain in a humid and moderately warm climate. 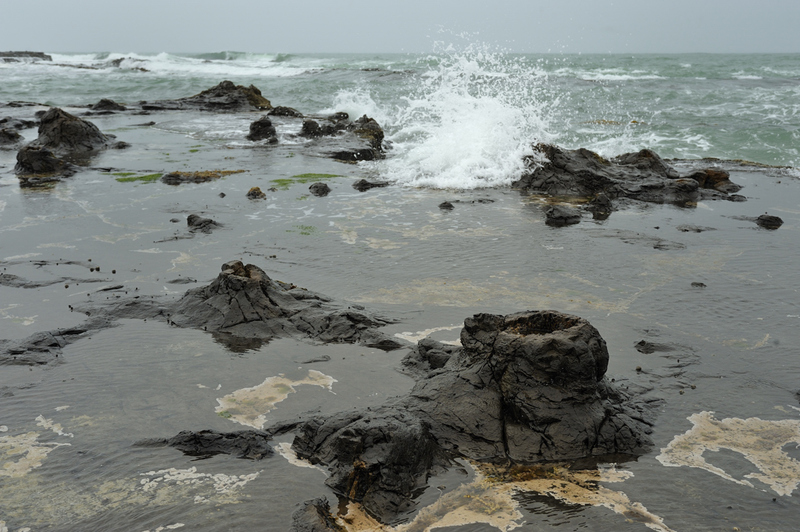 Curio Bay was a broad floodplain flanked by active volcanoes which flooded the forests with volcanic debris. The lower parts of the trees were buried and turned to stone. 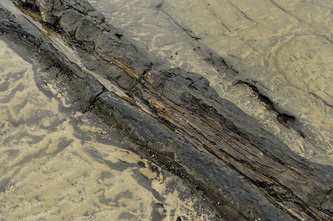 The trunks that lie exposed were carried in by the flood and were partially buried. 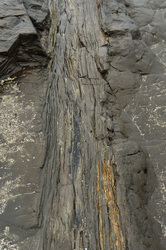 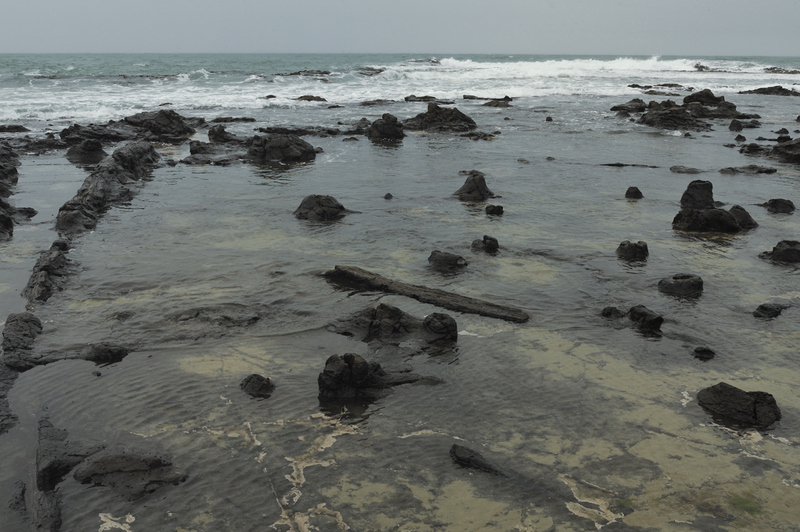 Curio Bay is the site of one of the world’s finest fossil forests. 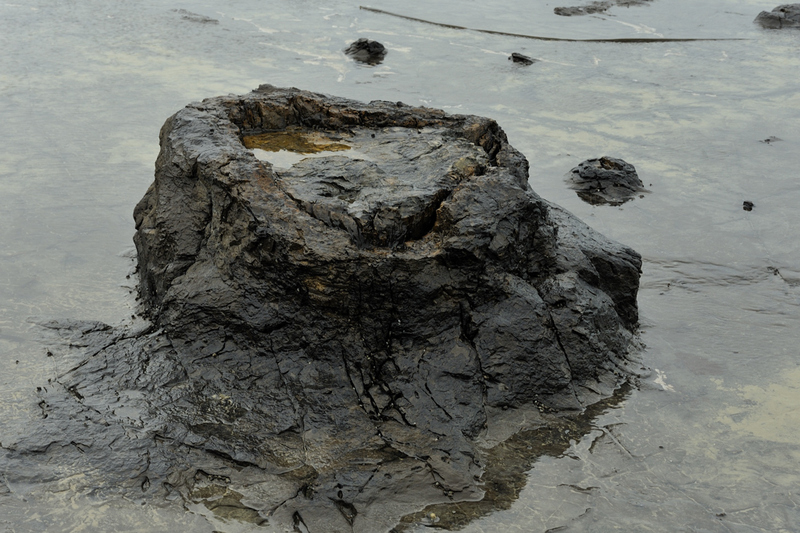 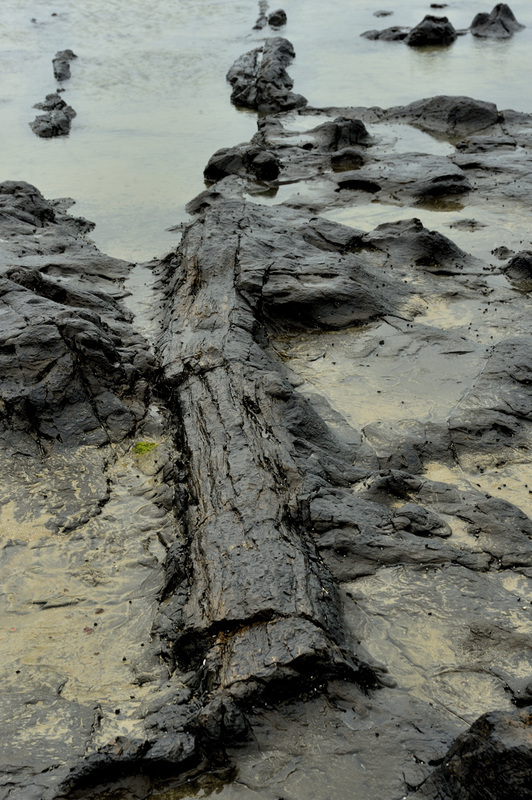 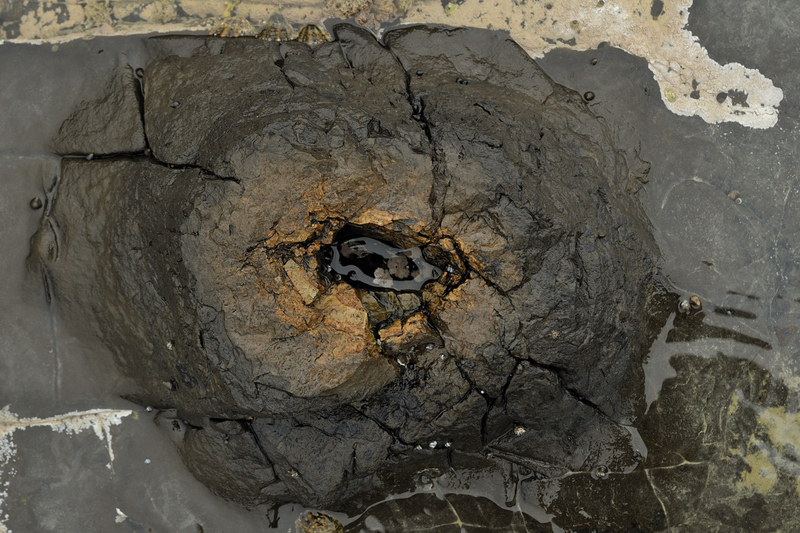 The platform of petrified stumps, fallen trees and fern imprints are easily accessible at low tide, or can be viewed form the platform above. 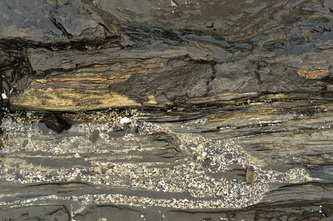 photo of the DoC information panel on the viewing platform.